HARVARD COLLEGE is a unique academic community - a close-knit undergraduate program located within Harvard University. Teaching and research are intertwined at Harvard College - students contribute to research in labs and libraries and learn from faculty of the highest caliber. The breadth and depth of Harvard's resources, from library and museum collections to engagement in the arts and athletics, remain unparalleled in higher education. Harvard College is a four year, private university in Cambridge, Massachusetts. Harvard offers more than 3,700 courses in 48 undergraduate fields of study. Admitted transfer students at Harvard may be eligible to transfer up to a maximum of sixteen course credits. Harvard College does not currently offer an option to work toward a degree remotely. Students needing more flexible options should look into the Harvard Extension School. 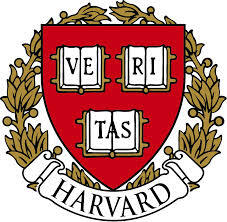 Harvard is approved for Tuition Assistance and is a Yellow Ribbon School. Harvard is a MYCAA approved (Military Spouse Career Advancement Accounts) school.